Oh hey dere world. It’s finals week, also my final week in Denmark! Where has the time gone? I seriously am going to be so sad when I write my goodbye post, so I’m going to save it. Today, a happier topic. 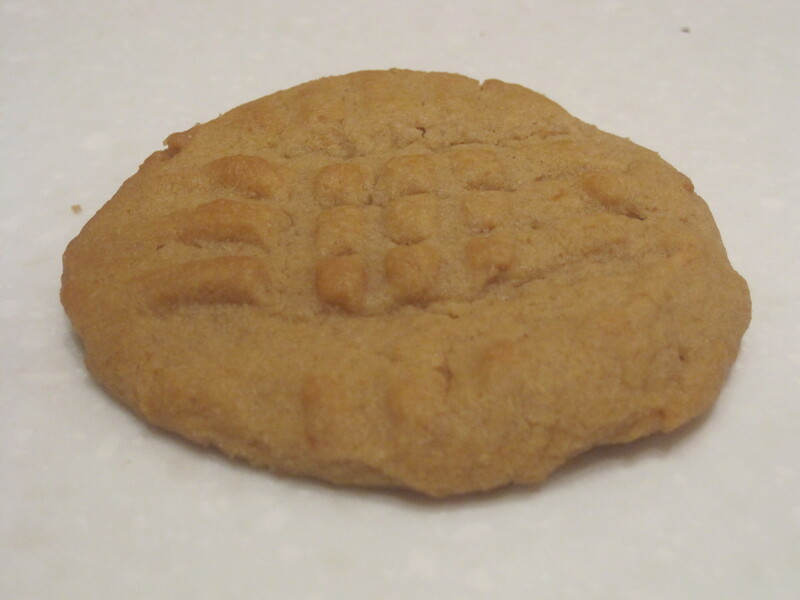 The Best Peanut Butter Cookies Ever. See how the cookie almost has a halo? That’s no coincidence. And in Denmark, cookies are really not a thing. My host family doesn’t even have a baking sheet. I kid you not. They eat cake and pastries and stuff but you don’t often see cookies besides small, dry ones. (tasty in their own ways). But they those aren’t the cookies I actually wrote home about, these are. These cookies are moist, and for my friend Allie of the K-C family, chocolate free. And they’re perfect. Luckily it’s not a family secret and I have been privy to the recipe. Which now you also are. HOORAY for me and for you! Best. Peanut Butter. Cookies. Ever. 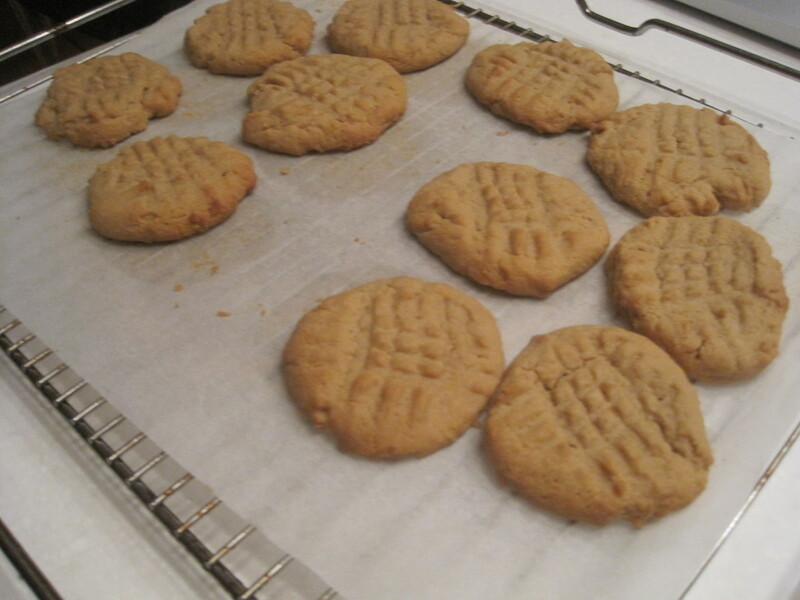 Cream butter, add white sugar, brown sugar, peanut butter. Mix thoroughly between additions. Mix for 5 minutes even if you have a hand mixer and your hand gets tired. The batter should lighten in color. If you think it is impossible (as I did) to overcome the darkness of the peanut butter AND the brown sugar, you are wrong. It is possible. Maybe get someone else to hold the mixer for a few minutes. Add the egg. Yup, mix it really well. 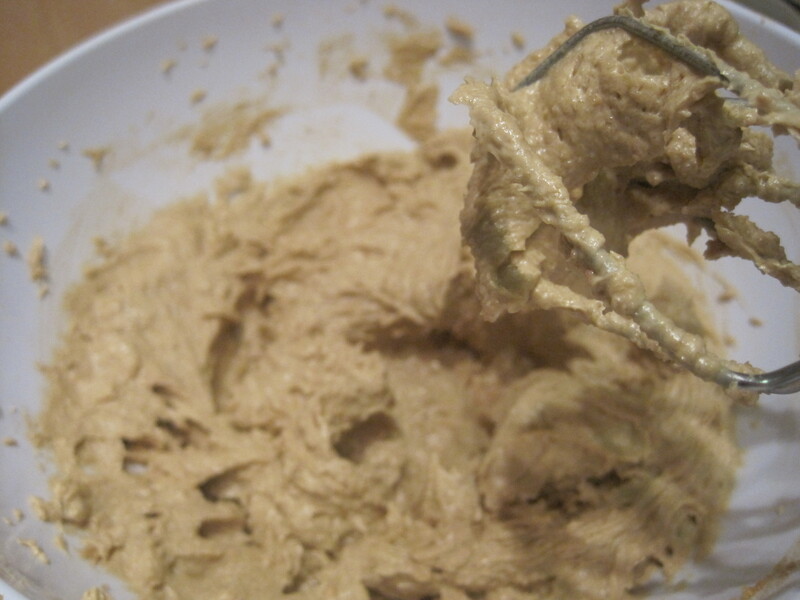 Add flour and baking soda, this time mixing with a spatula or spoon, not the electric mixer. Spoon out (big) cookies onto cookie sheet, flatten/crosshatch with a fork. Bake at 375 F (190.5 C) for 10 minutes. NOT MORE. Do not over bake. They should be slightly browned, it’s okay if they’re soft. Cool on baking sheet. Cookies will deflate and be chewy and tender. If you over bake so that they puff back up when you poke them they will be crunchy/dry when they cool. Eat with a glass of milk and seal leftovers in an airtight container. If you know any Danes, try to insist that this is not cake, instead tell them that in English we give sweet baked goods several different names (cake, cookies, bread, pie). They think everything is cake.